John Abraham Looks Dapper On The GQ Magazine Cover! Does JWoww give Ronnie Ortiz-Magro any relationship pointers? ‘Hell no!’ The ‘Jersey Shore’ star told HL EXCLUSIVELY why she doesn’t say ‘anything’ to Ronnie about Jen Harley! 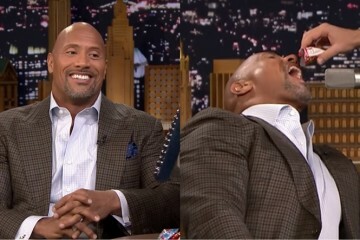 Watch: Dwayne ‘The Rock’ Johnson eats candy for the first time in 27 years! Tom Hiddleston Reveals Where He Stands With Taylor Swift: Are They Still Friends?